304 stainless steel hook ensuring the durability and dependability. Brushed Finish: Hand polished stainless steel finish, build to resist daily scratches, corrosions and tarnishing. This product uses a simple set screw mounting system, reducing confusion and stress during installation. 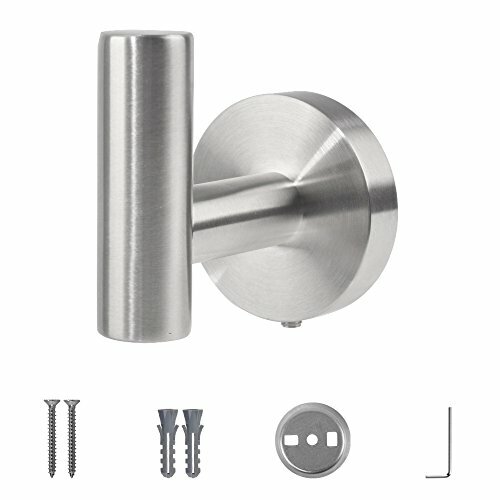 High quality mounting hardware, stainless steel screws and premium quality anchors. Ideal for use in bedrooms, bathrooms, and closets, update your rooms with clean and simple minimalist styling.